A unique strategy game for polyhedral dice. 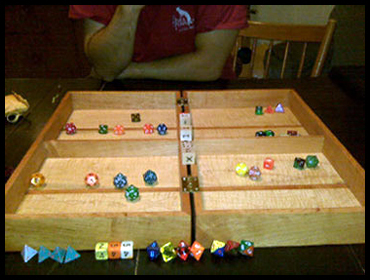 Two players battle against each other's undead army represented by dice with different numbers of sides. Lots of strategy, re-playability, and fun. See a video of some rules. Also available in a small run limited edition for $40 + S&H. To inquire about getting a copy, send a message.